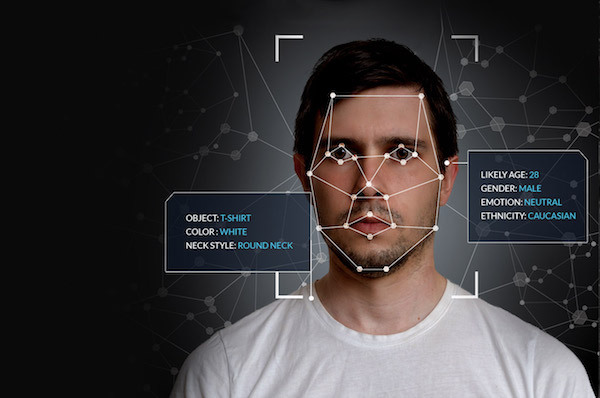 The possibilities of facial recognition have placed it at the forefront as both a security measure as a means of biometric identification, as well as a reliable means of gathering data for analytical purposes. In a world with greater reliance and threats presented to our sensitive information and data, basing our security solely on a password isn’t enough. With 2FA (Two Factor Authentication) solutions introduced in a bid to bolster security efforts, we have moved from security tokens to OTPs sent to personal devices, and now towards biometrics. There are two reasons leading to biometrics becoming a cornerstone of our security authentications – convenience, as the user will have everything they need on them to access their various accounts, and unique biometrics that enhance security. Corporations and financial institutions have looked into various biometric options to be the cornerstone of their 2FA efforts. The biometric security landscape has also seen its transformation and adoptions. The adoption of various biometric solutions as authentication methods are dictated by the technological capabilities available to the general population. An article by Forbes published in 2013 speculated the different biometric solutions that could be possible with smartphones. The options moved from voice recognition to fingerprint identification, and facial recognition. Fast-forward to 2018 and we have experts surmising that 2FA scratches the surface and that MFA (Multifactor Authentication) should be the new standard. A more current article was re-examining the outlook on the effectiveness of biometric solutions since then, evaluating the effectiveness that biometrics play today has revealed a few key takeaways. Unfortunately, the different forms of biometric identifications are far from foolproof. And that going with an MFA approach utilising a password, and multiple biometric identifications will give hackers more hoops to jump through, thus ensuring that breaking into such an account brings more risk for the reward, deterring the intruder. Biometric solutions seek to get more robust by adding layers to better their accuracy. We do believe, however, that better security and reliable insights have to be garnered through behavioural analytics. And that rapidly evolving video technology will make video analytics integral to that approach. For voice and fingerprint biometric identification, users typically have to approach the device to get verification. This places the onus on the user and functions as an active biometric solution. In the case of an active biometric solution, the user is aware, in a situation where a potential breach could occur, this gives the hacker the means to prepare. The same goes for facial recognition, and there have been reports of 3D printed faces being able to spoof facial recognition systems. However, with video analytics, we are presented with some advantages. Video analytics can be a passive biometric solution, helping capture different points of data of individuals, behaving naturally. The points of data can range from measuring the gait of an individual to easily track movements across places, identifying individuals through their ears which has been said to be more reliable than fingerprints, and spotting other patterns or irregularities that would draw suspicion. The utility for video analytics goes beyond security, and can easily transcend into a powerful tool that can help us run our lives and cities more efficiently. With improvements being made in the field of video analytics, the possibilities are endless. Advanced and smarter video analytics solutions will be the baseline which other new and exciting solutions will draw from, and where we will be able to keep ourselves safe and to understand and measure the world around us. 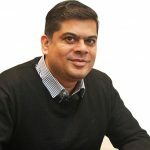 Abhijit Shanbag is the CEO of real-time multimedia analytics firm Graymatics. He previously cofounded Scintera, a fabless semiconductor company in 2001. A BS from IIT-Bombay and a PhD from University of Southern California, he has previously held key technical and management roles at Qualcomm, Ericsson, and Morphics.